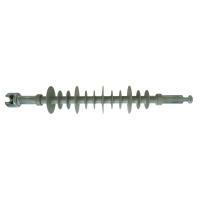 The Modified Polyethyene deadend suspension clamp insulator is a new type in the family of insulators, which is modified by a variety of polymer materials. 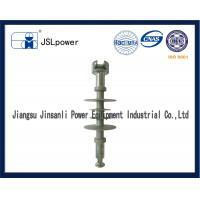 It has a stable structure, good insulation, anti electric shock, stretching and mechanical properties. It's hard materials different from the silicone insulator. · Light weight for easy handing, the weight just have 35% compared with cermic and glass insulators, comprehensive performance is better than silicone rubber insulators.